Evaluations will take place on Saturday and Sunday with approximately one Pet Partner team evaluation every 45 minutes. You must bring the following items to the evaluation. If you do not, you will not be evaluated that day. There are no exceptions to this requirement so please read carefully and come prepared. 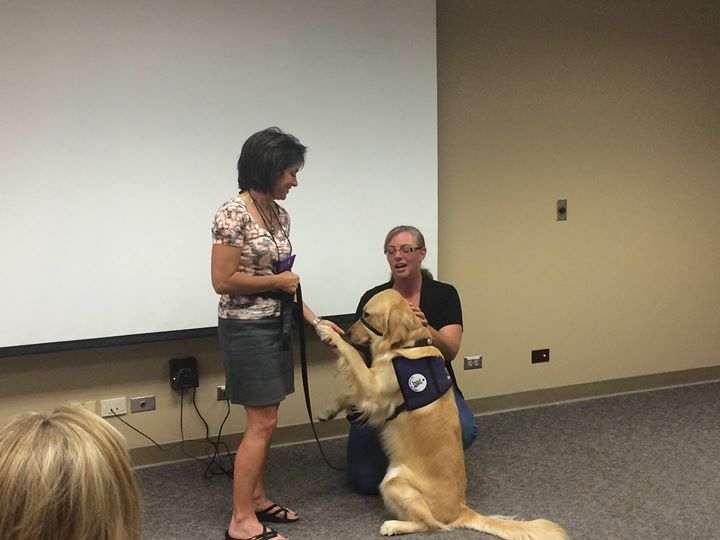 To be evaluated by Pet Partners, you must have completed the Pet Partners Handler Training course. This course may be taken online or at a class conducted by a qualified Pet Partners instructor. You must confirm that you have met this prerequisite on your registration form and bring your certificate of completion to the evaluation. Also, dogs must not be on a raw-food diet or living in a household in which other dogs are on a raw food diet. Please pre-register via link. Evaluations will take place at Rose Medical Center, Goodstein Conference Rooms 1 and 2.